This post is part of a campaign with Modern Masters and LooksiSquare. I was provided with materials for my projects, but all opinions are entirely my own. I have been working in decorative painting and design for over 15 years and in that time my favorite specialty paint company has always been Modern Masters. Honestly. Their products are always on my shelves. and create a unique finish came along, I was in. my choice of Modern Masters Paint. 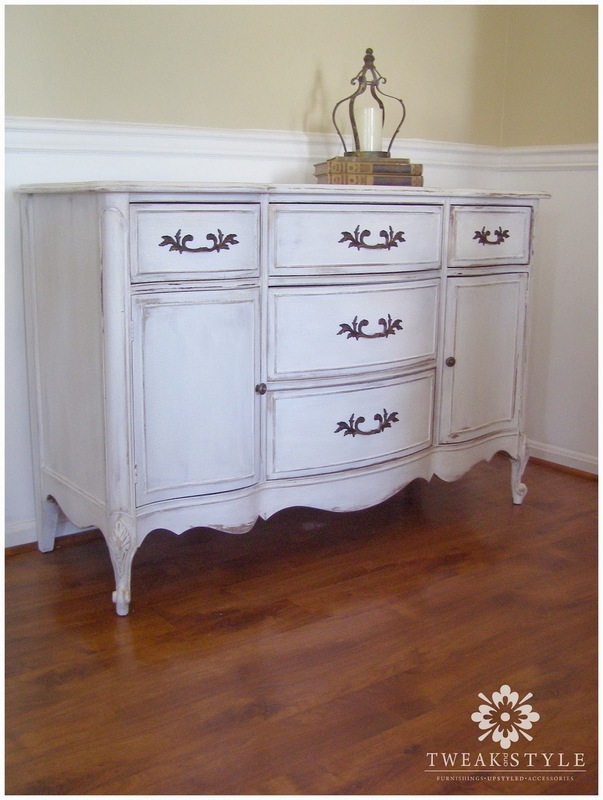 the vintage beauty of Miss MustardSeed’s Milk Paint. 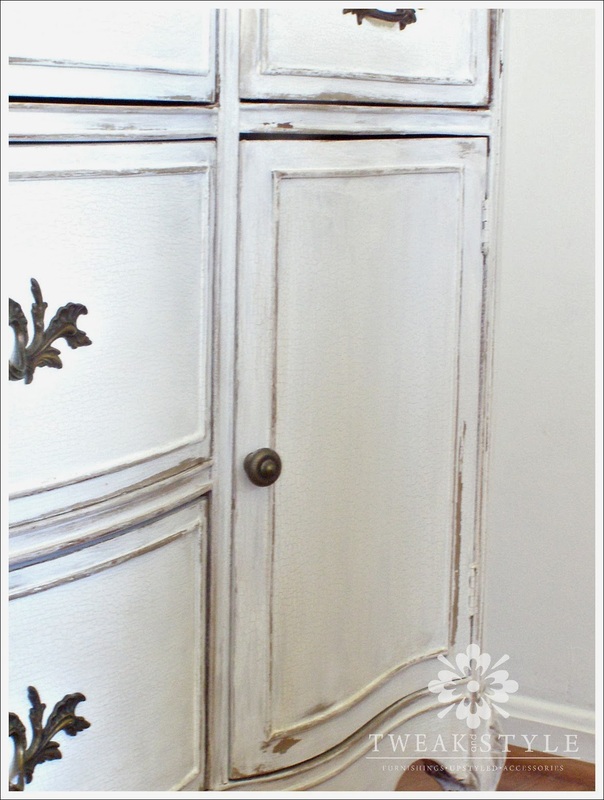 Visit my post, Two Toned Glam Distressing with Duck Egg Blue here to see a similar finish using chalk paint..and of course, Modern Masters! and usually with an idea, I just get off and painting. So, sometimes the unexpected happens. And sometimes the unexpected is wonderful. To begin, I applied a base coat of primer. I did this for two reasons. 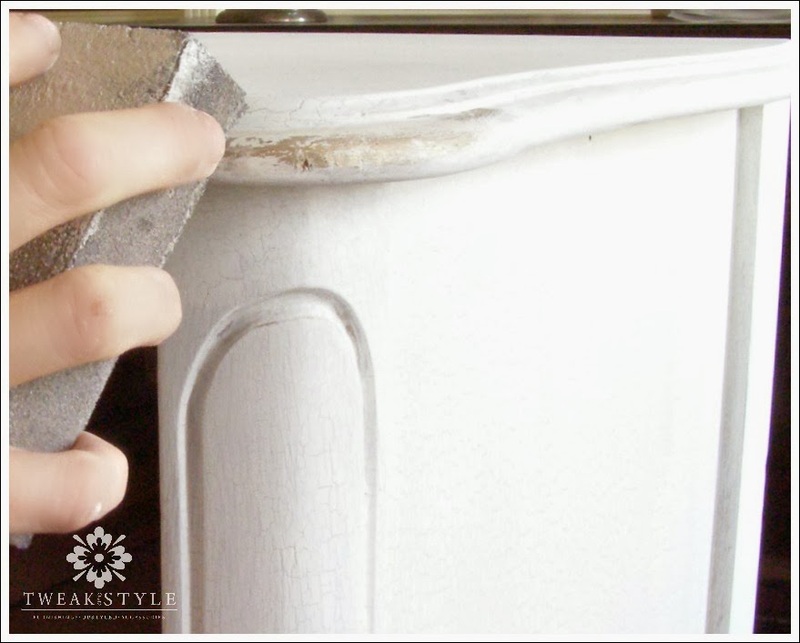 To ensure good adhesion of Modern Masters Warm Silver to the furniture piece and to provide a neutral base for Warm Silver to show its true color. Next, I brushed on 3 coats of the Modern Masters Warm Silver Metallic Paint. Keep in mind that Modern Masters Warm Silver is an opaque color. I recommend choosing one of their opaque colors for this finish since you want to achieve a solid metallic finish with the fewest coats. The next day, I began the top layer. 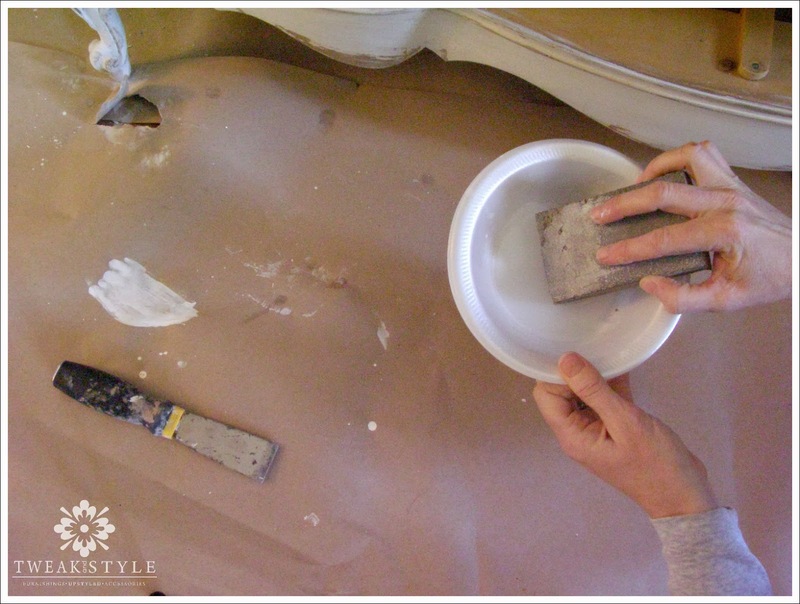 After mixing my Miss Mustard Seed’s Ironstone, I applied 2-3 coats with my brush, waiting about 30 minutes or until dry to the touch between coats. 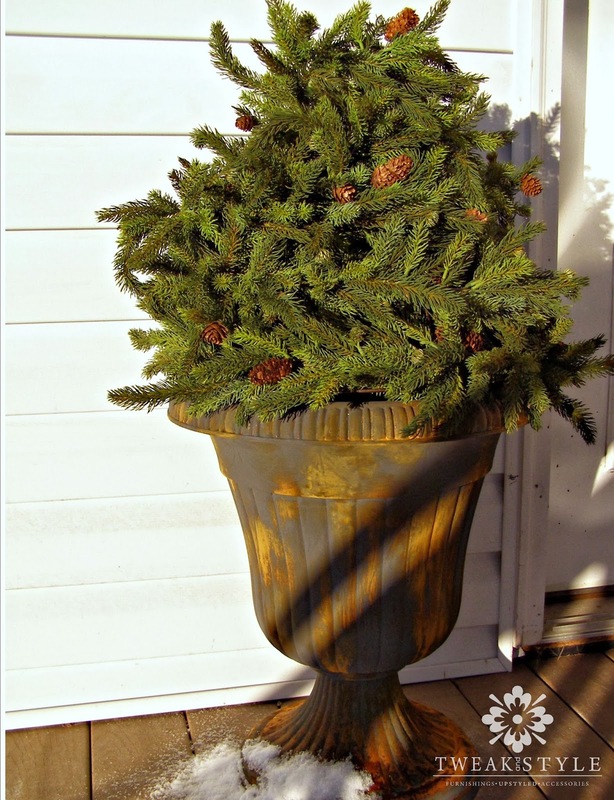 Now, if any of you are familiar with working with Milk Paint, you know that without a bonding agent, you can expect some pealing for that chippy look but…you never know. Sometimes it may peel a lot, sometimes not much at all. So, just what would happen over metaliic paint…hum?? Well, there was minimal chipping. Not good because the effect I wanted was to have the metallic peeking out of the weathered milk paint. But, there was a sweet surprise. Remember, the unexpected? What appeared was a beautiful, fine crackling, revealing the sweet sheen of metallic underneath. Unexpected, but wonderful. The crackling was so authentic. I had never liked crackle mediums because they were so unpredictable. But, these two products created their own magic. Because I wanted an aged piece with some randomness to the distressing, I waited a day, and then also wet distressed the edges and moldings with a sanding block. Wet distressing this way is my favorite way to distress. 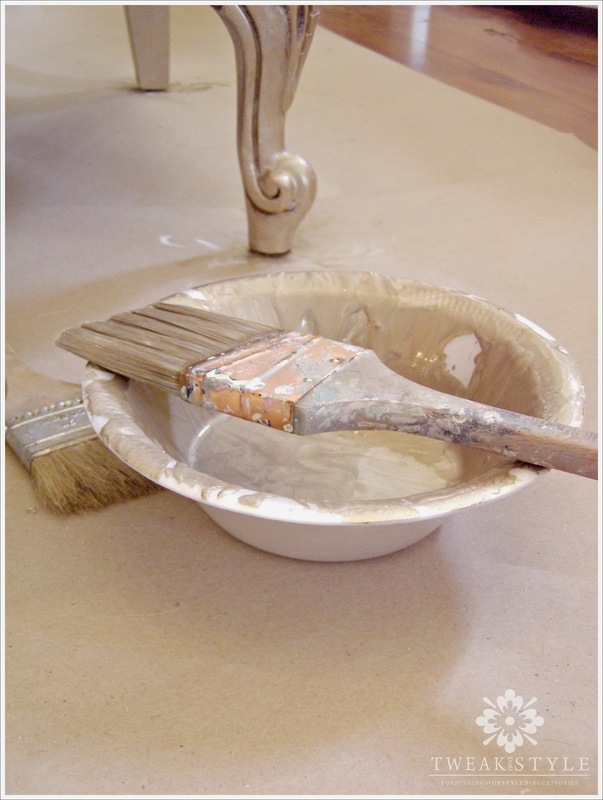 Just dip the end of a sanding block into a small bowl of water and sand gently along the edges. The water softens the block and the paint, revealing the color beneath, in this case Modern Masters Warm Silver without sanding through to the wood. 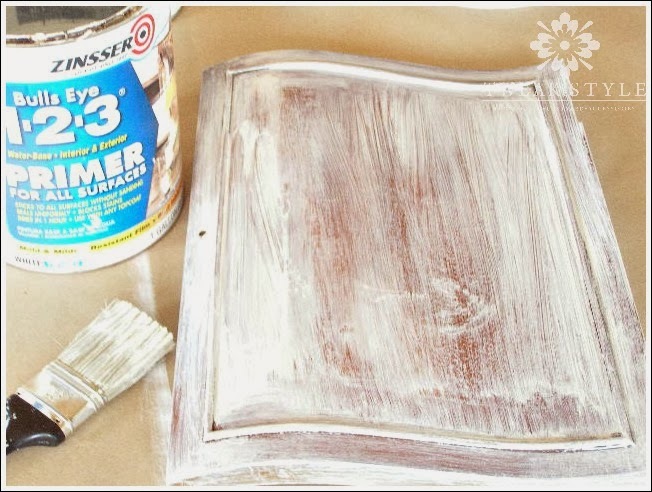 The sanding block gives you great control and you can follow up with a damp rag to easily rub off more paint now that it is soft, revealing more glamour. 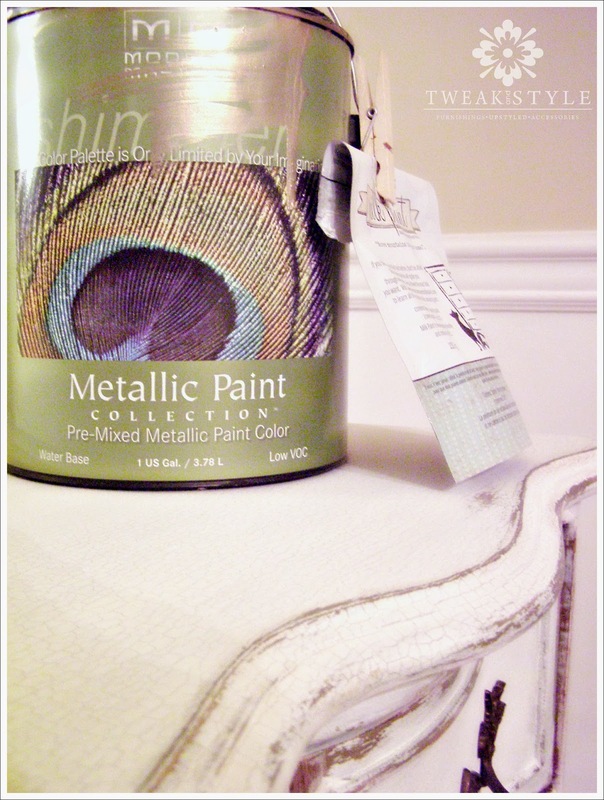 For my Shine Small project, the product I selected was ModernMasters Iron Reactive paint from their Metal Effects line. 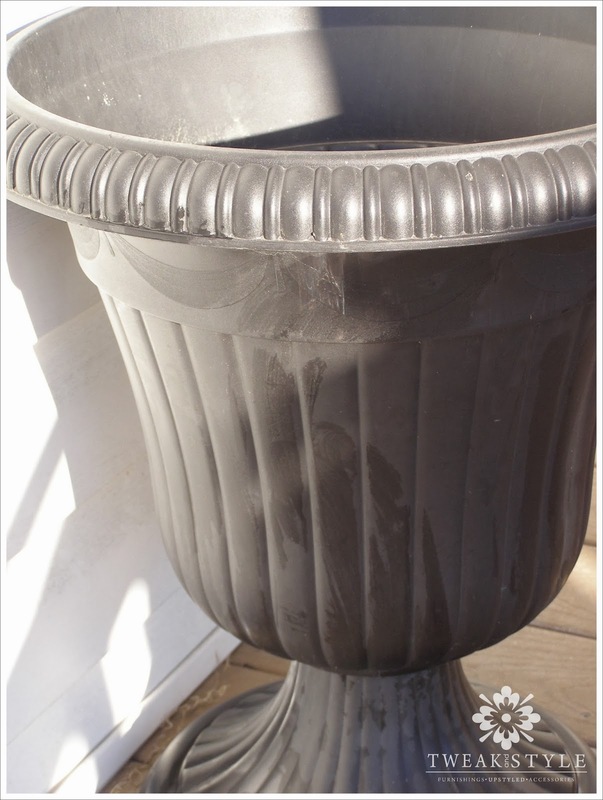 Here is a picture of one of my two urns I madeover for this project. I have had them for years and they were under $15 each and sadly they sort of looked like it. I started by applying 2 coats of Metal Effects Primer. Remember to wear rubber gloves, respirator and goggles when working with the activator. When the paint is dry, follow with 2-3 coats of activator, waiting 5 minutes or until dry between each coat, and watch the magic. I did 3 coats to achieve the look I wanted. Modern Masters Permacoat Xtreme topcoat. After 15 minutes..a beautiful transformation. 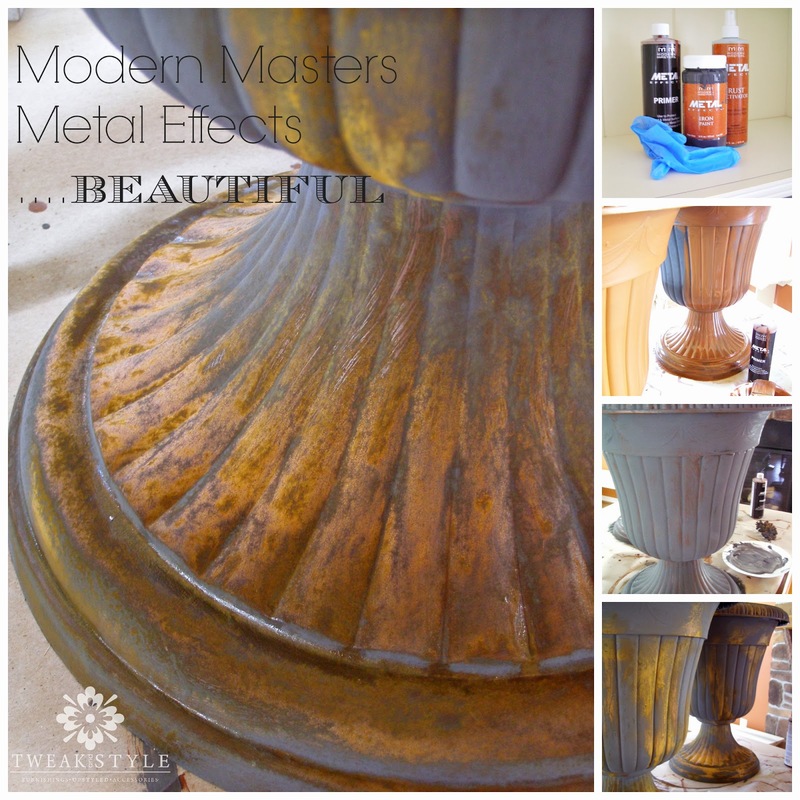 So have you ever used Modern Masters products for a furniture finish or other project? I'd love to hear from you! 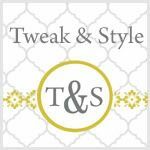 What gorgeous projects!! 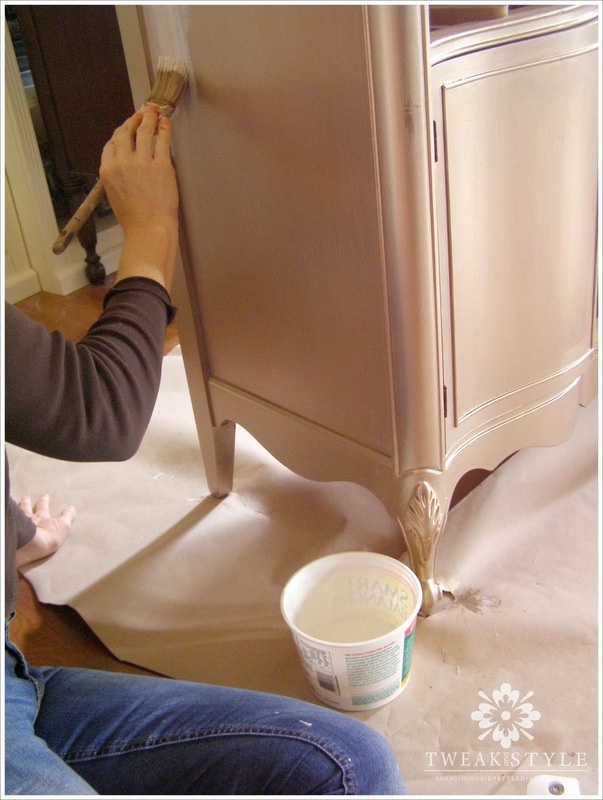 You make me want to paint my furniture too! I love them! The dresser turned out so pretty! SO beautiful!! I love all the detail work! This looks gorgeous! 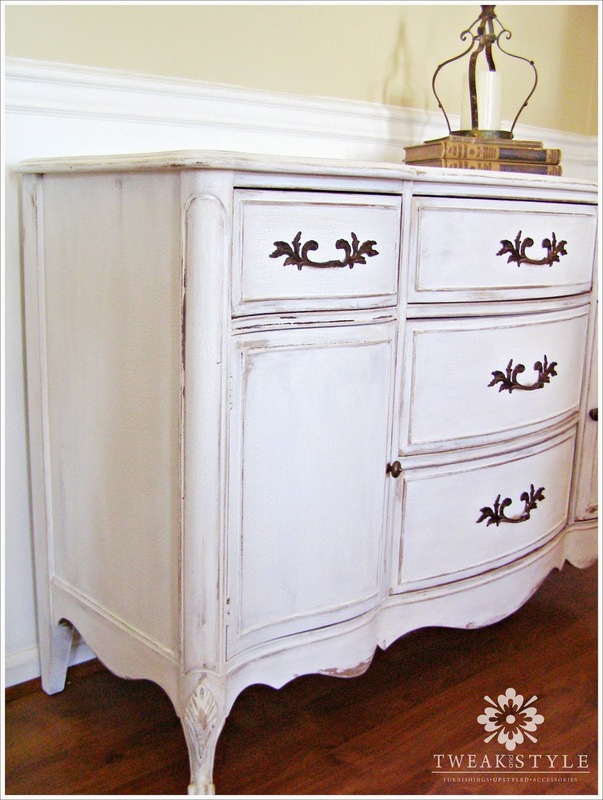 What a fabulous distressing job you did! WOW!! 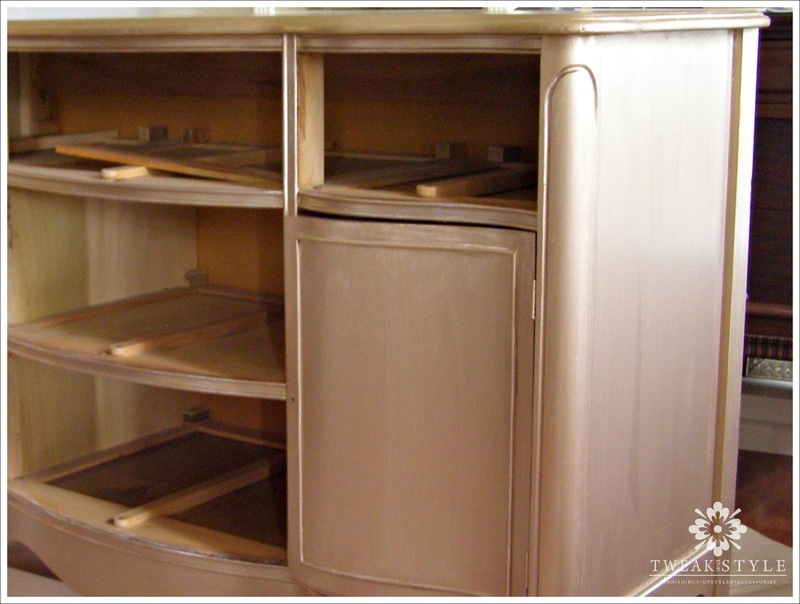 Stunning transformation, that bureau is so beautiful. Wet sanding, I need to use that, I always over sand when I dry sand. I am going to try this on my next project. Great tip. Thanks! Happy SITS Day. Your work is beautiful. When you put DIY in front of something people immediately thinks its easy but you can tell not everyone can do what you do. It takes talent, patience and perseverance. Beautiful work. Such gorgeous projects!! Congrats on your SITS Day! They're beautiful! Thanks for sharing. 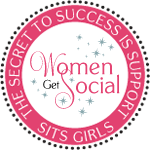 Stopping by from the SITS Girls community! This project is absolutely gorgeous! 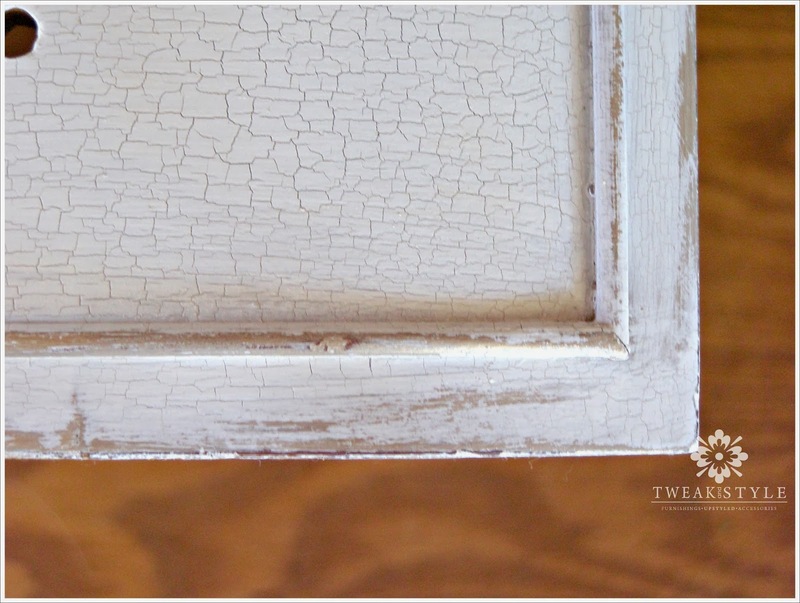 I love how the paint crackled and it truly does look so authentically aged. I've never used milk paint, but now you've got me ready to try. Thanks for sharing! I'm definitely going to be a new follower. Loved the dresser so much that I pinned it! I loveeee that dresser! Happy SITS day!